Casas Espania offers its clients an extensive range of properties for sale in La Zenia so that they have the possibility to enjoy all the advantages offered by the Costa Blanca and the Costa Calida. Our real estate agency has a catalogue of more than 500 properties distributed throughout the southeast coast of Alicante and Murcia. Within this range of properties, our real estate in La Zenia has different styles of homes so that, depending on your situation, you can choose your ideal property. We offer you: apartments, bungalows, cave houses, commercial premises, duplexes, farms, plots, townhouses and villas. One of the main advantages of buying one of our properties for sale in La Zenia is living in a city with an incredible climate. If you are tired of the cold and the rain, on the Costa Blanca South and on the Costa Calida you will not have to worry about the weather. Throughout the year, temperatures are usually pleasant and hot. If you are looking for a home where you can say goodbye to bad weather, try our properties for sale. 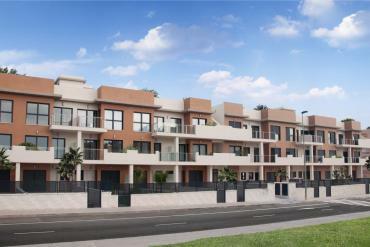 La Zenia is a group of urbanizations belonging to Orihuela Costa (Alicante). This great Spanish area has formidable beaches for your annual enjoyment. If you love the sea and the sand, La Zenia is your destination. 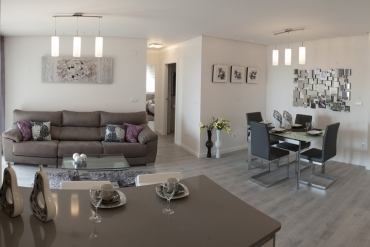 Our homes in La Zenia are designed with quality materials. It deals with modern properties and adapted to the new times. In this way, you can enjoy at the same time a wonderful city and a high-status home. Our real estate agency wants you to come and meet us in person and discover all the details of our properties for sale in La Zenia. There are many advantages to living in privileged areas of the Iberian Peninsula. If you want to enjoy all the benefits of our properties with your family, you can come and visit us at La Zenia Golf 4B Orihuela Costa (Alicante).